The following letter by Bishop John Guernsey originally appeared on the website of the Diocese of the Mid-Atlantic of the Anglican Church of North America. The murder trial of the Philadelphia abortionist, Dr. Kermit Gosnell, has been of great interest and deep concern to me. I wish I could say it had captured the attention of the nation, but, as you may know, it was largely ignored by the media. (The executive editor of the Washington Post said he hadn’t been aware of the story.) The trial was sickening, not because of the filth in the clinic, not because of the body parts of fetuses in jars, not because of the reprehensibly irresponsible medical care which caused the death of 41-year old Karnamaya Mongar of Woodbridge, VA. The trial wasn’t sickening because it showed something exceptional, but because it showed what abortion is and does.For many years, the pro-life movement has emphasized the link between abortion and infanticide. The ethic that defends the killing of babies in the womb so easily leads to justifying the killing of them a few minutes later and a few inches away, just outside the womb. But in recent months the support of infanticide in the pro-abortion movement has grown and become increasingly clear. A Planned Parenthood lobbyist testified in March against a Florida bill that would require abortionists to provide emergency medical care to a baby who survives an abortion. She was asked, “If a baby is born on a table as a result of a botched abortion, what would Planned Parenthood want to have happen to that child that’s struggling for life?” She answered: “We believe that any decision that’s made should be left up to the woman, her family, and the physician.” You can read about this and see the video here. This is not merely a theoretical discussion. Infanticide is practiced in America far more than most of us realize. Live Action, the pro-life organization founded by Lila Rose when she was just 15 years old, has recorded a series of undercover videos at late term abortion clinics. These stunning videos demonstrate that Dr. Gosnell is not an exception. The murder of infants after being born alive during an abortion is all too common. Scripture condemns this as idolatrous human sacrifice. See, for example, Leviticus 20:1-5, 2 Chronicles 28:1-5, Jeremiah 19:1-6 and Ezekiel 16:20-21, 20:30-31, 23:39. Since the first century, Christians have understood the link between abortion and infanticide and have resolutely stood against both. The Didache, a Christian teaching from perhaps as early as the first century, says: “You shall not murder a child by abortion nor kill them when born” (2:2). The Epistle of Barnabas, written in the late first or early second century, includes this command: “You shall not kill a child by abortion, neither shall you destroy it after it is born” (19:5). 1. Pray for an abortionist! There are many who once practiced abortion but who have turned to Christ and now work for the unborn. Pray for Dr. Gosnell’s conversion in prison! Pray for Dr. Santagnelo or one of the others featured in the Live Action videos. Pray for the repentance and change of heart of those involved in abortion in your community. 2. Become a supporter of Anglicans for Life. 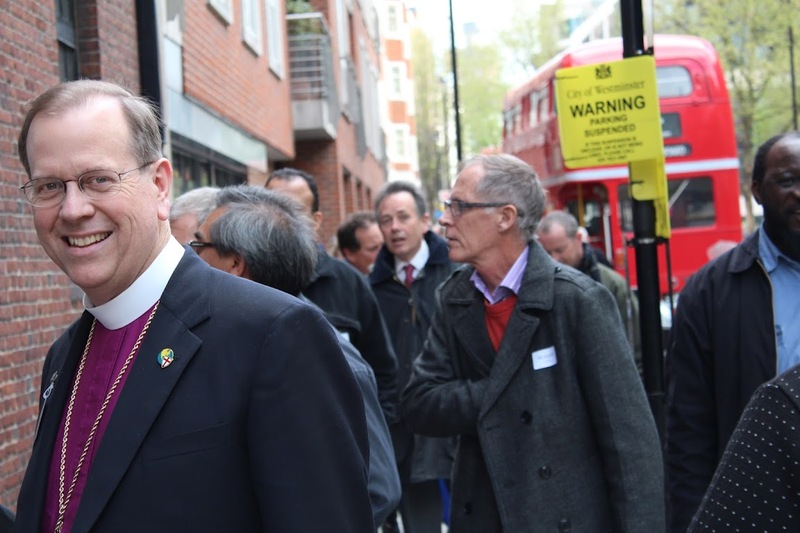 Encourage your church to sign up as a Life-Affirming congregation on anglicansforlife.org. 3. Discover God’s gracious forgiveness and healing for the women and men who’ve been affected by abortion, through resources like the Silent No More Awareness Campaign and Rachel’s Vineyard retreats. 4. Visit Lifenews.com and stay informed about these issues, which are so often ignored by other media outlets. 5. Volunteer at a Christian crisis pregnancy center in your area. 6. Mark your calendars for Wednesday, January 22, 2014, and join with me in the annual March for Life on the National Mall in Washington, D.C.
Don’t let the horror of Dr. Gosnell’s actions cause you to pull back or close your eyes. Stand for life. Work for life. Pray for life. It is very appreciating that you have done a great review with Biblical aspects which is really need to discuss on the community our religion and many more. Thanks for sharing.